In your E4 box you find the device and its accessories, two quick-start guides on how to use the device for real-time streaming and for in-memory data recordings. The E4 wristband with pre-installed silver (Ag) plated electrodes. A USB dock (for charging and data transfer). A pair of silver (Ag) plated replacement electrodes. Printed copies of the quick-start guides - a copy of our E4 wristband getting-started guide to stream your data using your E4 wristband straight away - a copy of the E4 wristband - using the E4 in daily life guide to start using the E4 offline in recording mode. TIP Check our suggestions on Device care and maintenance. Before you start using the wristband, download and review the E4 wristband user’s manual. 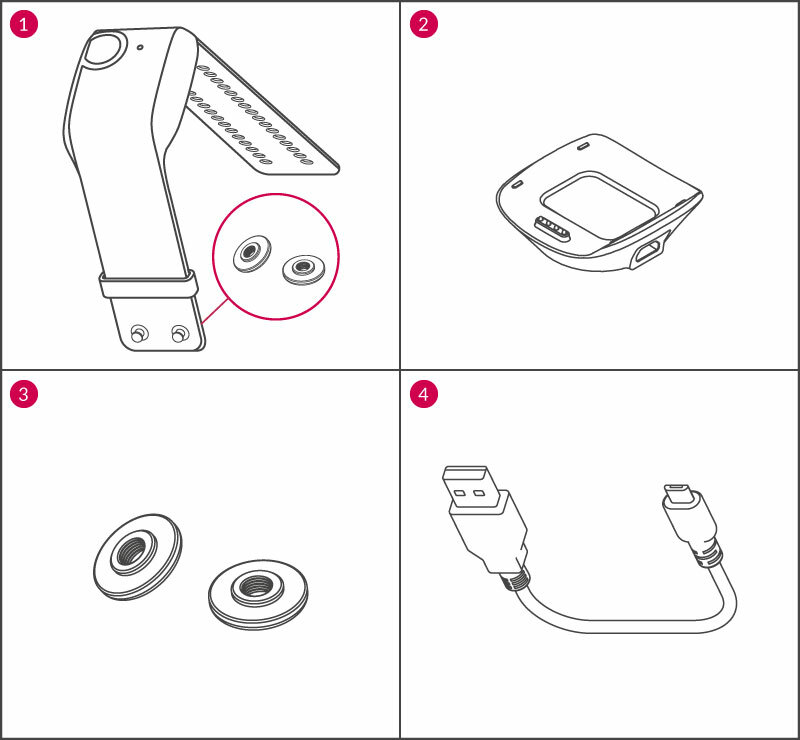 The manual contains all the critical information you need about your E4 wristband and how to use it.